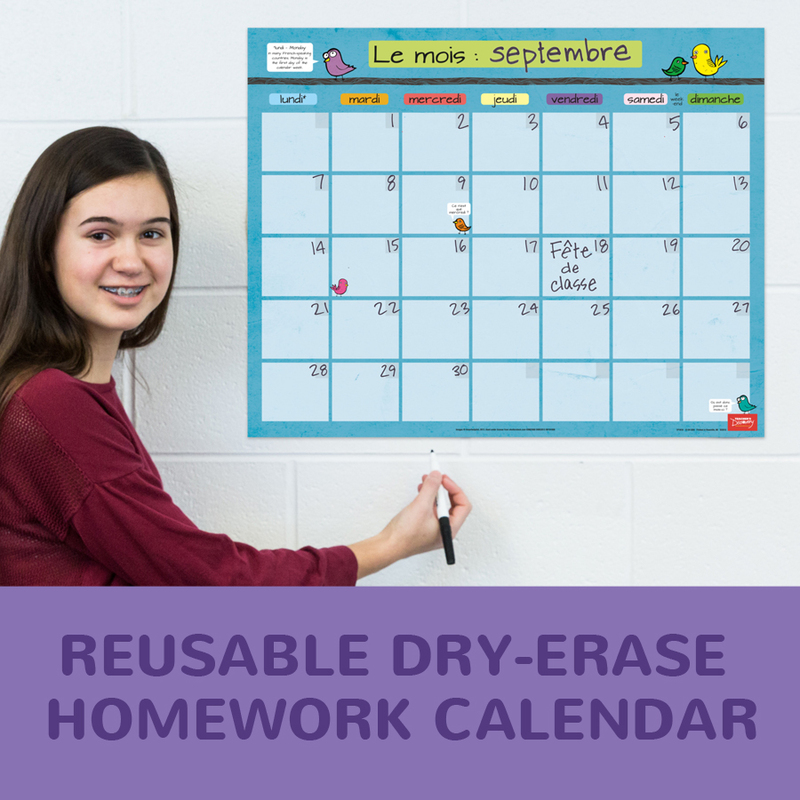 Post homework assignments, upcoming tests, class parties, field trips, French Club meetings, and more on this dry-erase French calendar! 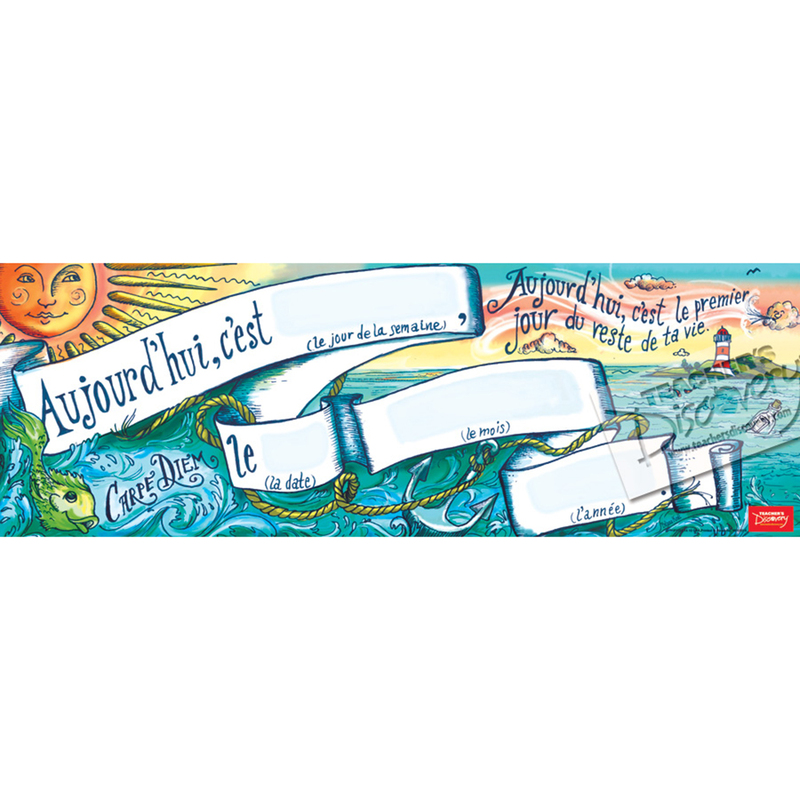 Calendar features days of the week in French, a place to write the month, and a note for students about why the week starts with lundi. 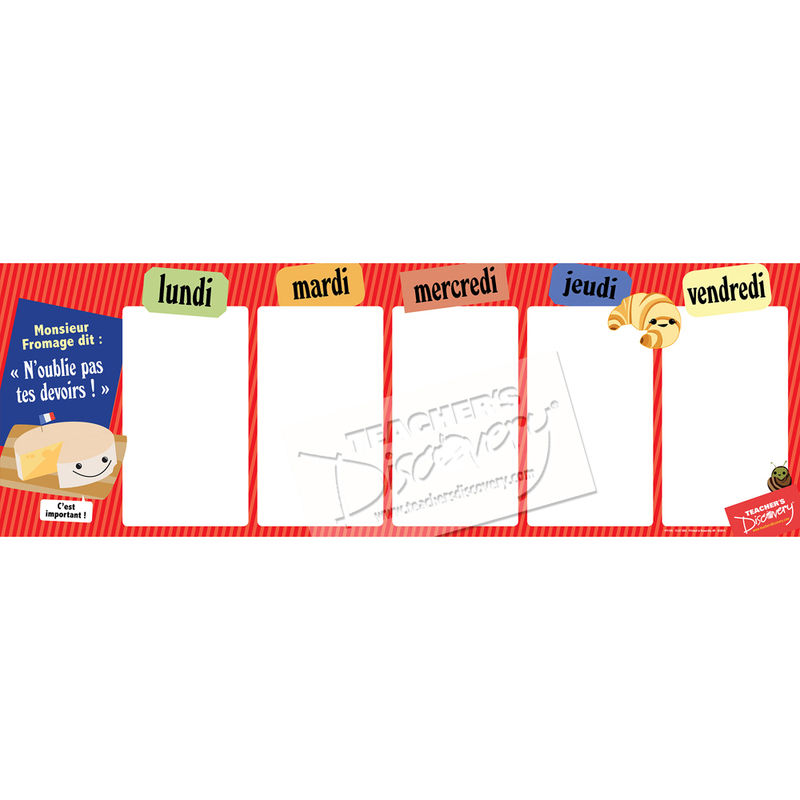 Dry-erase marker sold separately. FR. All levels. 19 x 24 inches. Laminated.